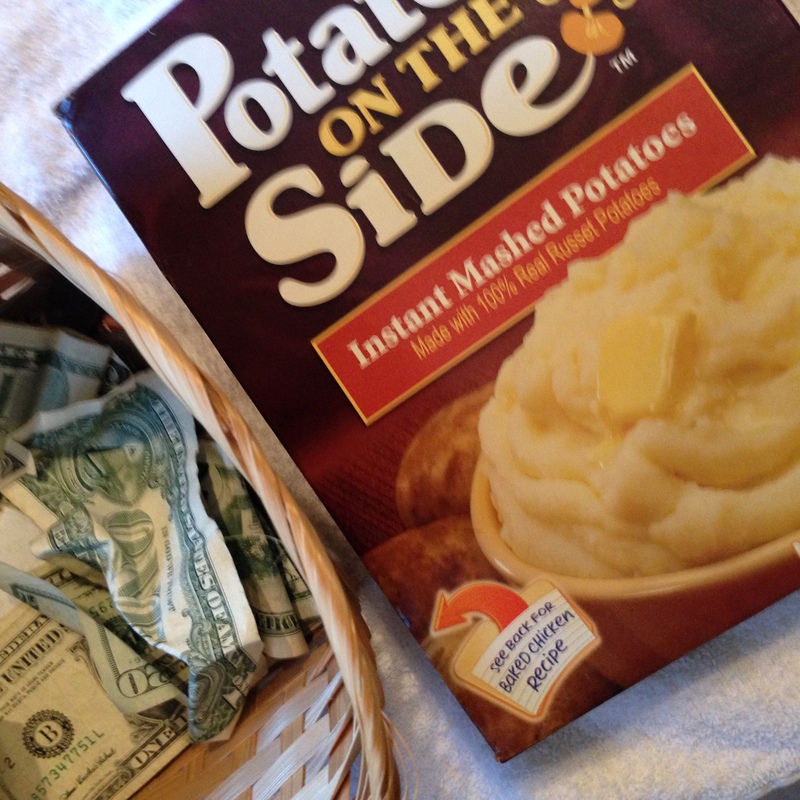 On Palm Sunday, when I went to clear off the altar, I found this box of instant mashed potatoes next to the offering plate. At first, the package seemed strangely out of place, but almost immediately it made me think of the early church, when folks brought offerings of food and produce to worship, placing them on the altar to be blessed and shared with those in need. We all have an innate desire to give, to be generous. It’s in our DNA. This gesture made me think of Maurice, a friend I met more than a year ago, outside of Clara White Mission on a Wednesday during our coffee and prayer fellowship. He called me over and opened his grungy duffle bag. He rooted around for a moment and then pulled out three beautiful, fresh pink grapefruits and thrust them at me. My first instinct was to say: I don’t need your grapefruit. You do! But, fortunately, I received them with humble thanks. We all need to give. The One who gave everything for us calls us to give freely. We are blessed when we share what we have. This is the secret to a happy life. This entry was posted in Christianity, Diocese of Florida, faith, Uncategorized and tagged Christianity, church without walls, community, generosity, grace, gratitude, holy ground, mercy, spiritual growth, street ministry, vulnerability. Bookmark the permalink.